To rice cauliflower, roughly chop 1 head cauliflower. Place half in the food processor and pulse 8-10 times. Repeat with the rest of the cauliflower. Place in a lidded dish with some water and microwave for 5 minutes. Once cool enough to handle put riced cauliflower in a clean tea towel and squeeze out any moisture. This is the secret to a good crust. Preheat oven to 220°C conventional (200C fan-forced). Cover pizza tray with baking paper and set aside. 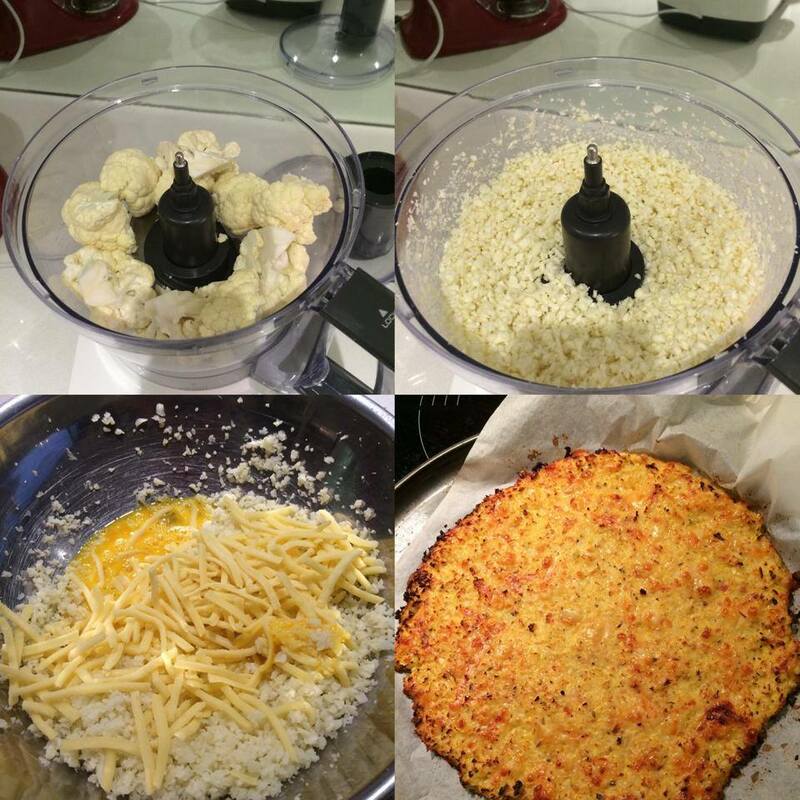 In a big bowl, mix riced cauliflower, eggs and cheese until combined. Add the oregano, garlic and salt and mix until combined. Place half of the mixture on tray and pat into a round shape that is around 1cm thick. Bake for around 15-20 minutes until the base is golden. Add your favourite toppings and return to the oven just until the cheese is melted.